Planning a wedding reception can often have a huge list of things to keep in line. Deciding on food, décor, and music, as well as choosing a great venue, can all be confusing at times. There are often so many options that it can be hard to decide. Sometimes planning your reception around a theme can make your decisions easier. After all, it adds a central idea to help base your decisions on. If you’re the kind of person that might have an easier time planning your wedding reception around a theme, Riverview Recreation Park has put together this list of amazing theme ideas you might find helpful. Game of Thrones is a hugely popular television show. Because of its popularity, more and more couples are deciding to theme their wedding receptions after it. It’s a spectacular fantasy medieval theme, and it makes for a wonderfully romantic setting. Consider the décor that you can include. Depending on your budget, everything from the bridal party’s garb to table flags can be included. 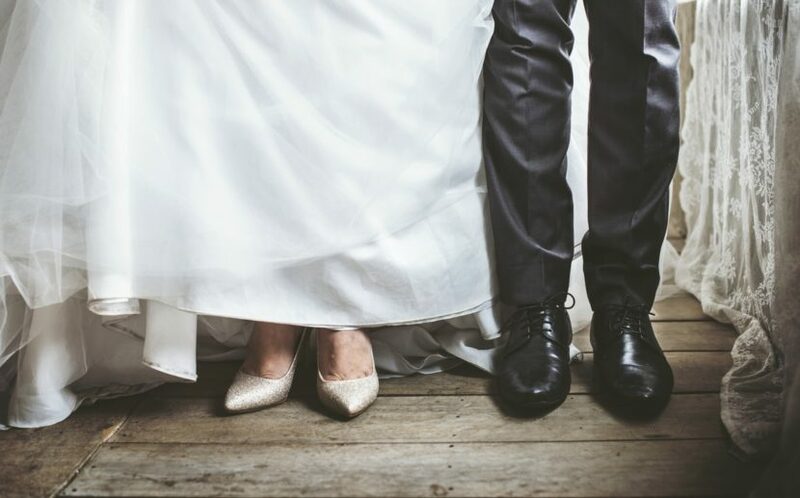 If you’re ready to splurge, you could even include suits of armor, a “knights presentation” (where they extend swords over the bride and groom’s exit path), and possibly even a horse for the bride and groom to leave on. You could even rent a medieval or renaissance themed wedding venue to add to the ambiance. If you’re not specifically in to Game of Thrones, these same ideas can be used for just about any medieval or renaissance theme. They’re super fun, and they’re sure to make your wedding and reception so much more romantic. Some people love a rustic touch, and what better way to add a little rustic romance to your wedding reception than with a campout theme? The great outdoors, the smell of a campfire, and a dessert featuring smores are all awesome touches to make your wedding reception unique and fun. Obviously, you’ll need an outdoor wedding reception venue to make sure the feel is right. Include some open-front tents, a host of camp-snacks, and campsite seating. Fun activities might include a campfire sing-along (use a campfire prop if you can’t have a real fire pit), some fun storytelling, or roasting your own smores. The Wild West has been fun for kids all over the United States for generations. And with the increasing popularity of country music and the “cowboy lifestyle”, a western theme might be the right fit for your wedding reception. Imagine your outdoor venue strewn with haybale seating, cowboy boots on the wedding party, and some great BBQ to feed the cowpokes. Include line dancing and a square dance caller to bring the feel together. Just make sure your venue has plenty of room for a dance floor. Shucks, if you’re really into the western life and want to give your guests a great time, you might even consider a mechanical bull! Yee haw! What little girl didn’t grow up wanting to be the princess from her favorite fairy tale? Your wedding reception is the perfect time to live that fantasy. The magic, beauty, and romance of an enchanted forest might be the right theme for you. Spruce up your venue to look like a lovely forest area or choose an outdoor venue with a beautiful wooded setting. Hang lights that evoke feelings of magic. Decorate with fairies and crystals on the tables and the walkways. Enjoy a wedding reception that’s absolutely enchanted. For a wedding in the fall, it might be the right opportunity to mix a little of the spooky into your wedding reception. A Halloween themed wedding might bring a sense of ethereal romance for a couple who enjoys life outside the mainstream. By using darkened colors, elaborate embellishments, and pumpkins and straw you can create an elegant and spooky environment that retains the romance. Encourage guests to come dressed for a masquerade (instead of “in costume”) to increase the fun. And don’t forget the treat table full of Halloween candy! Whether you choose a theme or not, the most important thing to remember when planning your wedding reception is that it needs to fit your personality. Make sure your theme, décor, food, music, and wedding reception venue are all a fit for who you are as a couple. And don’t forget to make your wedding reception fun!